Hotel in Page AZ | Hotel Page Arizona. All spacious rooms at this smoke-free hotel include a coffee maker, desk, flat-screen television with cable, hair dryer, iron and ironing board. In addition to standard amenities, some rooms feature a microwave and refrigerator. 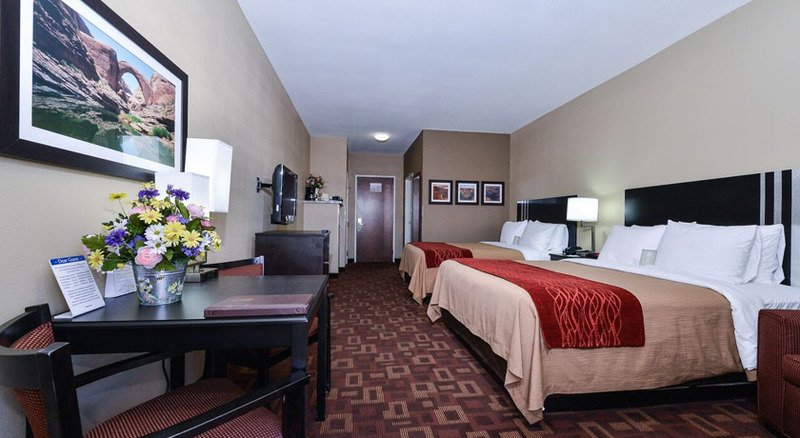 Comfort Inn & Suites is located at Page and convenient to Colorado River, as well as the Horseshoe Bend and Antelope Canyon. This website is owned and maintained by Comfort Inn & Suites Page AZ. a licensed user of certain proprietary trademarks and service marks of Choice Hotels International, Inc.